Welcome to Thurston's Marina. Established in 1972, we are a family-owned and operated business located in Weirs Beach, New Hampshire on beautiful Lake Winnipesaukee. We partner with Starcraft boats, Evinrude outboards, and Volvo Penta and Mercruiser motors. 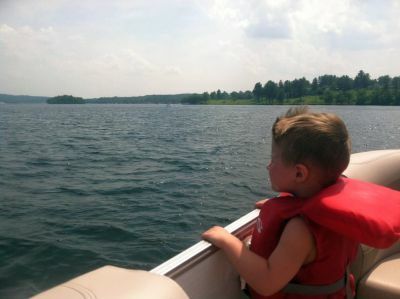 Our ongoing mission is to make your time on the water a family fun experience. Come join our Family of Happy Boaters! Follow the link to https://www.bestofthelakesregion.com/ and click the “Vote Now” banner then select “Motors” to find the categories where we’re nominated. VOTE IN ALL CATEGORIES then you must select SUBMIT YOUR BALLOT following each vote in the "Continue Voting. Then when ready you can ”SUBMIT YOUR BALLOT" found in the drop-down menu to officially cast your votes.